Home Technology - Hacking Software Flaws: Why Is Patching So Hard? The Department of Health and Human Services’ Office for Civil Rights’ latest monthly newsletter spotlights the risks posed to healthcare organizations by unpatched software flaws and the difficulties often involved with patching. But many of the insights apply to organizations in other sectors as well. Challenges range from difficulty in keeping up with vulnerabilities and quickly applying patching – if and when flaws are identified by vendors – to the complexity of applying patches on clinical systems that cannot easily be taken offline because of patient care demands or their interconnectivity with other critical systems and devices. Spectre and Meltdown, identified by researchers in 2017, were prime examples of widespread vulnerabilities impacting healthcare and other organizations, OCR notes. “These vulnerabilities … allowed malware to bypass data access controls and potentially access sensitive data,” OCR explains in its alert. “The security flaw was present in nearly all processors produced in the last 10 years and affected millions of devices. After the discovery of these defects, vendors scrambled to release patches that addressed this problem. However, testing indicated that a side effect of the patches could be decreased performance in certain computer uses,” OCR writes. Identifying vulnerabilities in software is a significant challenge for many organizations in healthcare and other sectors. “As OCR states, identifying all vulnerabilities in software is not an easy process, particularly for the end user or consumer,” says Mac McMillan, CEO of security consultancy CynergisTek. Among the most difficult vulnerabilities to identify and patch in healthcare environments “are those associated with software or devices of a clinical nature being used directly with patients,” he says. Fricke says applications that a vendor has not bothered to keep current are the trickiest to patch. So where is there the most room for improvement? “The most room currently is in the tactical management of vulnerabilities to systems and software,” McMillan says. But some software vendors put up barriers to mitigating their products’ flaws, he contends. Buyers need to be aware, in particular, that smaller software developers and entrepreneurs sometimes do not have sophisticated software development practices or the resources to afford secure code testing, McMillan says. How can healthcare organizations and their business associates improve their practices for identifying and mitigating software vulnerabilities? To help keep abreast of reported vulnerabilities, organizations should tap into resources made available by such organizations as the Department of Homeland Security’s U.S. Computer Emergency Readiness Team, OCR notes. Fricke suggests organizations ensure there allocate enough time and resources early in a new system implementation to test and apply patches. “At times, organizations implement a new system without applying appropriate patches due to the go-live schedule. Well-intended people plan to go back and patch after go-live, but they either do not, or they delay completing that task,” he says. 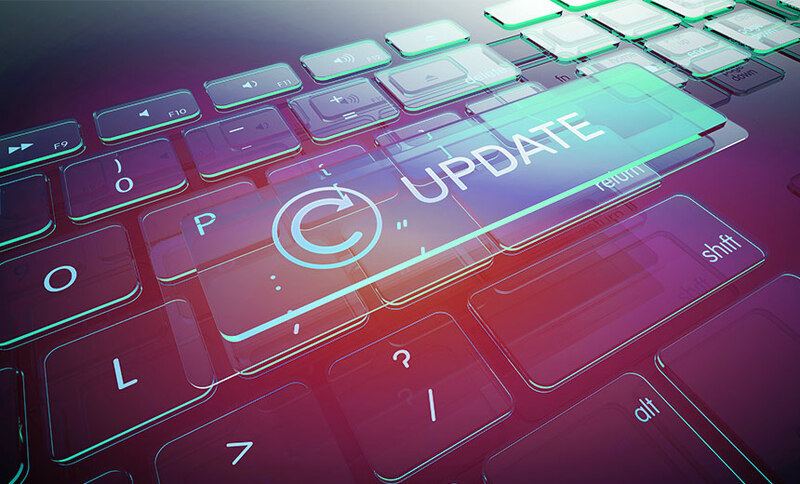 OCR also notes that a variety of tools can help organizations keep their software updated with the latest patches. Installing vendor recommended patches is typically a routine process, OCR notes in its alert. “However, organizations should be prepared in the event that issues arise as a result of applying patches. Computer programs are often interconnected and dependent on the functionality and output of other programs. Due to the complexity of some systems, installing a patch or collection of patches can be a major undertaking, OCR acknowledges. “System modifications that affect the security of electronic protected health information may trigger an entity’s HIPAA obligation to conduct an evaluation to ensure that ePHI remains protected following environmental or operational changes,” OCR writes.